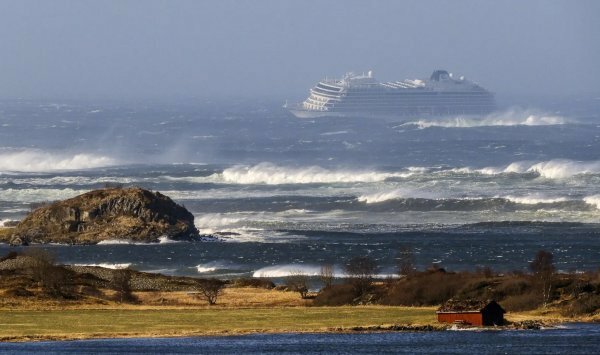 Rescue helicopters evacuated more than 150 people from a luxury cruise ship which suffered engine failure on Saturday in stormy weather off the west coast of Norway, police and rescue workers said. "IT WAS A HUGE CHAOS"
The crew was able to restart one of the ship’s four engines and the vessel was at anchor about 2 km (1.24 miles) from land and the passengers were considered safe although the evacuation was set to continue throughout the night. Some 155 people had been evacuated by 21.40 GMT, rescue service spokesman Per Fjeld said. The sea was very rough and eight of those pulled from the ship had suffered injuries, with three of those considered severe, public broadcaster NRK reported, quoting unnamed sources. Passengers were hoisted one-by-one from the deck of the vessel and airlifted to a village just north of the town of Molde on Norway’s west coast. Cruise passengers described the moment when the ship’s engines stopped and the evacuation that followed. “We were having lunch when it began to shake. Window panes were broken and water came in. It was just chaos. The trip on the helicopter, I would rather forget. It was not fun,” American passenger said. 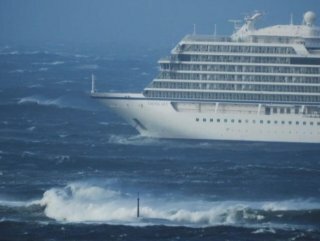 Images and film posted by passengers on social media showed furniture sliding around as the vessel drifted in waves of up to eight meters (26 feet). 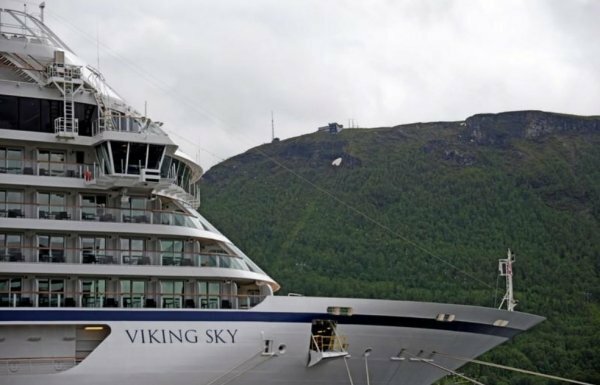 “Our first priority was for the safety and wellbeing of our passengers and our crew, and in close cooperation with the Norwegian Coast Guard, the captain decided to evacuate all guests from the vessel by helicopter,” Viking Cruises said in a statement. 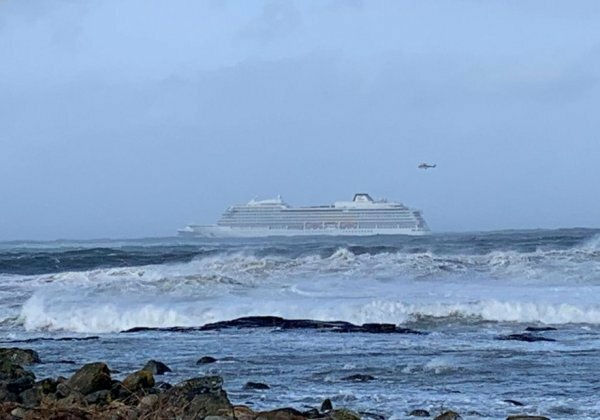 A second vessel, a freighter with a crew of nine, was also being evacuated nearby after suffering an engine failure, diverting helicopters and thus delaying the cruise ship airlift, the rescue center added.